When he bought his 34 metre yacht around five years ago, people told Steve Sidwell he was making a big mistake, but this serial entrepreneur has made a living out of trusting his hunches. 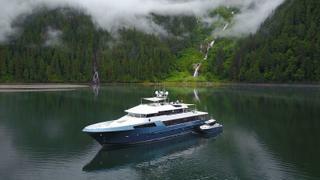 Last year, he made Ascente available for charter along the Pacific coast of Canada. Before he knew it, he’d booked enough business to offset operational expenses without disrupting his family adventures from British Columbia to Alaska. At 56, he describes himself as “semi-retired”, sufficiently removed from work to indulge his passion for boating nearly full-time. 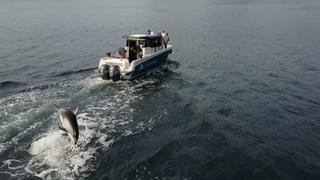 He’s had around 20 boats “of all types and all sizes” to date but now has more time to spend time on board. 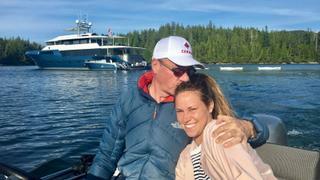 And he is just as likely to be on the water when a cold wind is blowing 25 knots (as he was over the year-end holidays in British Columbia) as when it is warm – he counts the time he spends on board in months rather than weeks or days. His current main project, which ignites a spark in his eye as he discusses it, is a brand new range of yachts that builds upon the experience gained from running his current boat. After leaving school he planned to go to business school but took a year off to work and make some money – and never went back. He learned, as he says, at the school of hard knocks and, although he had the end goal in mind, he wasn’t sure how to get there from the start. 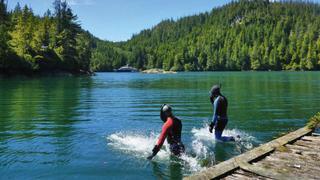 A management job opportunity for a mining company brought him to Vancouver in his early 20s. He started his first company at the age of 26, went into property at 29 and then investments and finance. He founded a boutique investment firm called Devante Capital. A few years ago, he developed an interest in food as part of a personal quest to undo some of the damage his high-pressure work in investment banking had done to his health. Looking to shed some excess weight, he recruited a private chef who showed him how to prepare satisfying and nutritious food and helped him painlessly lose 14 kilograms in a few months. The experience inspired him to invest in a couple of new companies that could help others. “My mission became to help change the health of America by spreading the ripple of healthy and affordable alternatives to fast food,” he says. He helped start a chain of fast-food restaurants called Lyfe Kitchen (Love Your Food Everyday) with two ex-McDonald’s executives and later branched out with Luvo, “a nutrient-rich, delicious and natural flash frozen food company”. Luvo began as a small concern but attracted plenty of attention, including a few celebrity endorsements, and it grew quickly. When Goldman Sachs bought his shares, he began his search for his yacht. “I went to the Monaco Yacht Show and I came to the Fort Lauderdale International Boat Show maybe three years in a row. I looked at all the different boats and none of them fit,” he says. “It’s a million-dollar-a-year operating budget. I don’t want to spend that. It means one or two engineers on board as well and I don’t want that. A big crew, I don’t want that. I want my kids and me to be able to operate the boat. If there is one single quality that sets entrepreneurs apart, it is their ability to see things differently. “I told them, ‘You can’t see what I can see.’ I saw how everything could work in every single room, and I did not just see how dirty it was.” What he saw was the perfect vehicle for family adventures and close-ups with nature, which he could make a reality without draining a lifetime’s worth of earnings. He liked that the boat was rugged, with a full-width bridge, big engine room and commercial-grade parts similar to the equipment found on tugboats and freighters. “The previous owner of our boat did a number of things that were unique so that he and his wife could operate the boat, and she was tiny. I thought if they can do it, anyone can. I absolutely loved it because I don’t want to use a captain all the time,” he says. “Our operating costs are a fraction of what other boats our size are because the previous owner kept it very simple, easy to operate and very efficient, so we don’t need a huge crew.” The yacht burns about four litres per nautical mile or 45 litres an hour at 10 knots. And who wants to go faster when there is so much to see? When he embarked on a refit over three winters, he kept the layout and openness but updated everything else. 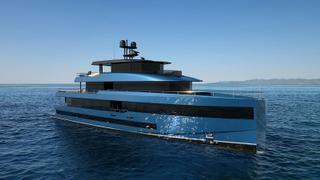 An exterior redesign gave the boat a more modern appearance and an attractive metallic blue colouring. Here again, he went against the grain. “Everybody that I talked to said, ‘That’s a bad idea. You should not do a metallic blue finish on a boat that big,’” he says. “Now, that’s the first thing people talk about.” It makes it easy to spot the boat when it is docked at its home port in Coal Harbour Marina in front of the glittering towers of modern-day Vancouver. When Ascente is not in charter, Sidwell handles it with his girlfriend, Ashley, and his family. His three children, now all in their 20s, grew up around boats and pitch in whenever they are on board. He credits this to the advice a friend gave him many years ago to let them pick the boat they wanted, which would guarantee they’d want to spend more time aboard. “So that’s exactly what I did. We spent months going to shows, looking at MasterCraft versus Ski Nautique, and they basically designed the boat. 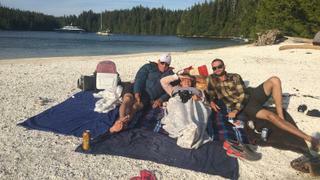 And so, I had six to eight years boating with my kids and all of their friends and I was the cool dad.” He still is: during one recent summer, all of them took leaves of absence from their jobs so they could do a three-month family trip to Alaska. The interest triggered a thought, and designer Gregory C Marshall, who had helped him in some aspects of the refit, encouraged him to work on Ascente II. The working concept is a 38 metre boat in aluminium, easy to use, inexpensive to run and with amazing style. “We’re going glass crazy and truly maximising the views and the indoor/outdoor experience.” A cosy space surrounded by glass is at the bow, which can be used as a lounge, observation or meditation room. All bedrooms will have big windows. “We want to create the ultimate Pacific Northwest charter boat,” he says. Many of the features are inspired by his experience on Ascente. He loves nothing more than a big tender to do day trips and go exploring but says one of his pet peeves is towing an 8.5-metre tender wherever they go. “I’m always trying to think of ways we can make a manoeuvre much easier,” he says. “We’re going to do what I think is the world’s first integrated tender and auto towing system.” The new boat is designed to tow a 12 metre catamaran tender/landing craft and carry a five-person ATV. As he delves deeper into his project, it becomes clear that he is thinking beyond the first boat. He wants to create a family of boats under the name Ascente – a word he made up from the word “ascent” and “te” (meaning integrity or nobility in many Asian languages). He’s been testing the waters, asking for feedback, and this time no one has been foolish enough to tell him he’s making a big mistake.